Basic Info related to this UPSC CMS Exam: New Job notification is out on UPSC official website related to the Combined Medical service examination 2019. This notification is out on 10thApril 2019 in the PDF format. Union Public Service Commission (UPSC) has prearranged a notice for the employment of Assistant Divisional Medical Officer, General Duty Medical Officer & Other vacancies through thisUPSC Combined Medical Services Examination 2019. Those Applicants who are attentive in the opening details & accomplished all suitability standards can read the Notification & Apply Online. We also share the complete detail below in this job posting related to this UPSC CMS Exam 2019. · Sept./Oct. is theDeclaration of Result. In what manner You can Apply:Applicants are essential to apply online by using the UPSC official website: “https://upsconline.nic.in”. Short-term directions for filling up the UPSC CMS Exam Online Application Form have been given in the official Advertisement under Appendix-II (A). 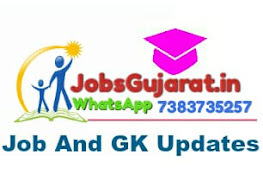 For Government Jobs alert on whatsapp send your request on following official Number 8849118318 (In request Msg Send your Name and State Name) " NOTE:You have to save this Contact Number in your contact list to get important Govt job alerts on Whatsapp. "